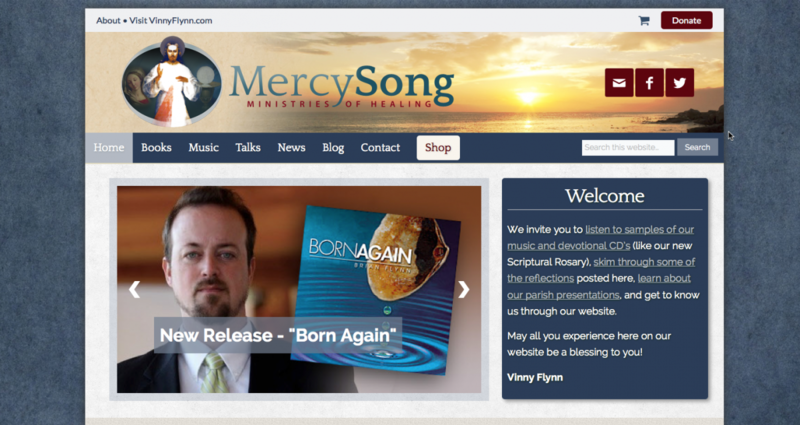 MercySong Publishing – founded by Vinny Flynn – asked us to give their flagship website an upgrade and help them move to their own e-commerce solution. They had been using a 3rd-party solution for the online sale of their books and multimedia, but found they had outgrown it. We built their new store on the WooCommerce platform. This gave us tight integration with the CMS (WordPress) and flexibility in how the store could be configured. Vinny and his family do tremendous work spreading the message of Divine Mercy. Be sure to visit their site!